Some of the best things about Christmas are the festive parties, reunions and get-togethers with our family, relatives, friends, and even those people we don’t often get to spend time with or see during the year. Whether it’s something big with all the festive decorations and gift-giving or something simple through a visit to the mall – parties, reunions and get-togethers with our loved ones are something we look forward to every Christmas season because it’s a time for fun, love, appreciation and sharing. But have we ever wondered how the people who make our celebrations happen spend the holidays? Mall Santas, hotel employees, security guards, drivers of public utility vehicles are just some of the people who spend the holidays just like regular working days or even working overtime, entertaining and serving people just to make sure our celebrations are as merry as we want to. 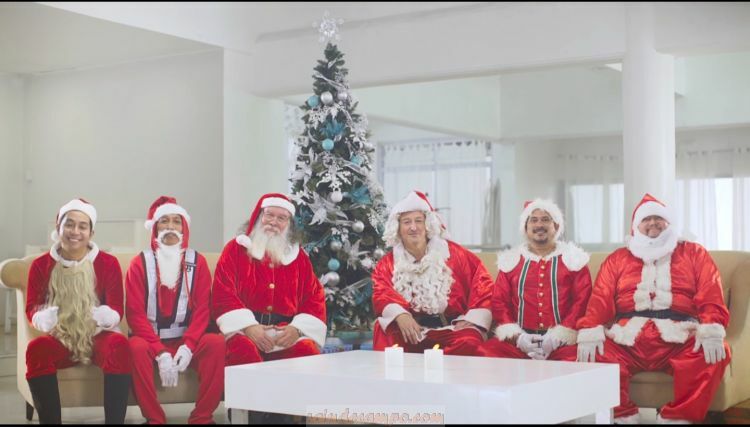 Leading health & beauty retailer, Watsons, recently released a video about different Santas, dedicated to all the other “heroes” and people who give and give more than they should. The heart-tugging video reminds them, with all their hard work and dedication serving other people, they also deserve to be treated especially during this season – with the gift of time or anything that can improve their health, wellness or appearance. It reminds them that although their loved ones and all the people they serve are important, it’s also important to take care of themselves, to look good, feel great; so they have more energy, capacity and confidence to continue taking care of other people. For more information, visit www.watsons.com.ph, follow @watsonsph on Facebook and Instagram. For exclusive benefits and promos, get the Watsons Card. Membership is free and non-expiring. Get one point for every P200 spend at Watsons.